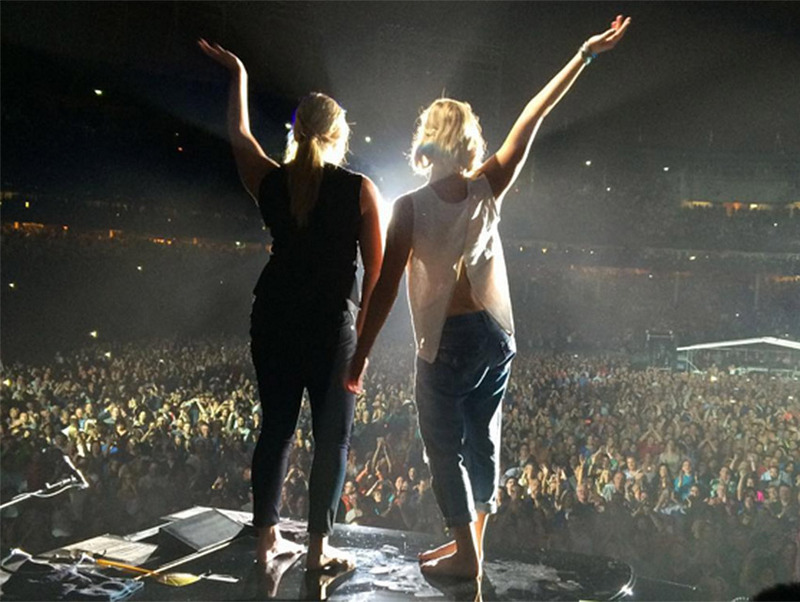 Amy Schumer and Jennifer Lawrence address their adoring fans at a Billy Joel concert. Amy Schumer is on the cover of next month’s Vanity Fair, and no interview with the comedian would be complete without a dissection of her friendship with Jennifer Lawrence. In a video released today, Schumer responds to an interview that Lawrence did with VF in 2014. She gives her honest reaction to Lawrence saying that “it’s always cool to be nice,” Lawrence’s stated preference for staying home on Saturday nights and drinking red wine with friends, and whether Lawrence has ever peed in a bidet. Suffice it to say, the truth comes out.